We are constantly exposed to environmental pollutants that can lead to many chronic diseases. Before you begin any detox regimen, you should reduce your toxin exposure, perform baseline labs, and design a custom protocol to remove toxins. Please consult a physician before starting any detox protocol. Eat Organic: Organic foods often have more beneficial nutrients, such as antioxidants, than their conventionally-grown counterparts. Individuals with allergies to foods, chemicals, or preservatives often find their symptoms lessen or even diminish when they eat only organic foods. GPL-TOX: TOXIC NON-METAL CHEMICAL PROFILE ($169-$219): The Great Plain Laboratory has created GPL-TOX, a toxic non-metal chemical profile that screens for the presence of 172 different toxic chemicals including organophosphate pesticides, phthalates, benzene, xylene, vinyl chloride, pyrethroid insecticides, acrylamide, perchlorate, diphenyl phosphate, ethylene oxide, acrylonitrile, and more. Glyphosate $59-99: Glyphosate is the world’s most widely produced herbicide and is the primary toxic chemical in Roundup™, as well as in many other herbicides. The Great Plains Laboratory, Inc. offers a convenient urine test. Organic Acids Test (OAT) $299: This urine test includes markers for vitamin and mineral levels, oxidative stress, neurotransmitter levels, and is the only OAT to include markers for oxalates, which are highly correlated with many chronic illnesses. Bentonite clay acts as an absorptive medium which bonds with toxins to be removed. Psyllium seed husk as a highly absorptive fiber that will act like a broom and sweep out the toxins that the bentonite clay bonds with. Diatomaceous earth as an internal cleanser. It supports regular bowel movements and may aid in removing toxic metals and accumulated wastes. Golden Flax Meal as a gentle fiber, source of nutrition and a great daily bowel movement enhancer. Tumeric is most widely known for its anti-inflammatory qualities. Diatomaceous Earth an internal cleanser. It supports regular bowel movements and may aid in removing toxic metals and accumulated wastes. Slippery Elm Bark Powder helps rebuild a healthy new intestinal lining. SuperAmino 23: Build muscle faster. Super Amino 23 is pre-digested protein, it is available to the body within 23 minutes of ingestion. Super Amino 23 has 99% NNU or Net Nitrogen Utilization, which means 99% of the amino acids are converted to protein. Apothe-Cherry: A natural source of antioxidants and melatonin at night. Biome Medic: Protect your gut from GMOs. Pre-Clinical trials have shown a 74% Reduction of Glyphosate and 75% Reduction in C-Reactive Protein. Optimize your health and your life, YOU deserve it!!! 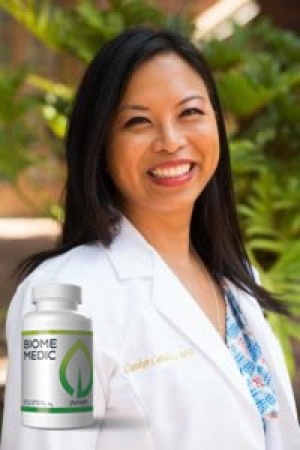 Carolyn Candido MD, a graduate of University of Southern California Family Medicine program is a board certified Family Medicine physician that specializes in Integrative Medicine. She is the first resident in her program to complete the University of Arizona Integrative Medicine track and the winner of the Weil Foundation grant. She has studied ayurvedic medicine, chinese medicine and functional medicine. Tara Alder is nationally certified and is an instructor with the *International Association of Colon Hydrotherapy (I-ACT). She also attends and teaches at health conferences and is an international speaker. 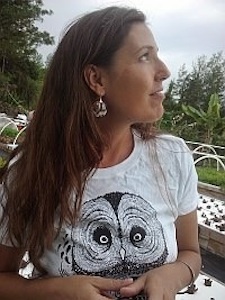 Tara is a graduate of the American Institute of Natural Health and the Circle of Life Healing Arts institute. Tara has furthered her expertise by apprenticing at the Gerber Medical Clinic with Carol Christian and the Optimum Health resources with Maria-Elaina St. John. She maintains continuing education hours annually and is pursuing complementary health disciplines as she stays current on recent discoveries in the field of optimal health.